Please skip this blog post if you are not a cat person. 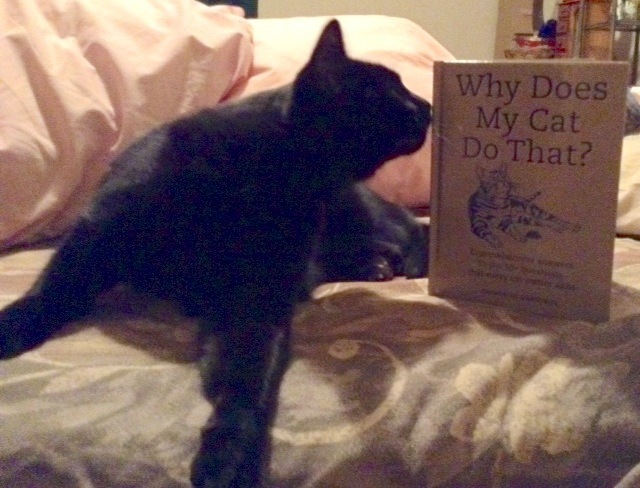 A friend recently gifted this book to me: Why Does My Cat Do That? It’s the perfect size for bus reading, waiting-for-bus reading, waiting room reading when I tire from people watching. It contains illustrations, short explanations and a helpful index. having those “crazy” tail-chasing episodes. Snuggles the cat sniffing the book Why Does My Cat Do That? It seems to do a good job at explaining cat behaviour. It can’t help us figure out other humans though. Thanks for dropping by and not waking the Tabby. 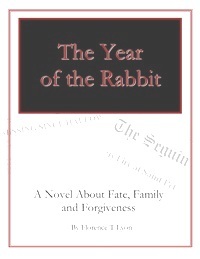 This entry was posted in Books, Health and wellness and tagged behaviour, books, cats, reading. Bookmark the permalink. OMG – we’re been wondering things like that for years!! Will have to go out and get that -stat!